A few years ago I had the opportunity to lecture at a law school in Jérémie, Haiti. Seton Hall Law has a special partnership with this school in Haiti. One of Haiti’s ongoing problems is that its legal system, particularly at the local level, often functions poorly because of lack of resources and corruption. As the law school in Jérémie began to produce graduates who attained positions as judges and local political leaders, the situation in that city, though still very difficult, began to improve. Good lawyers, trained to live out core values of justice and respect for the rule of law, support good communities. I share this story because it shows the unique value of a law school invested in giving back to its community. Here at home, residents of New Jersey’s urban communities benefit greatly from the work of our students, and I’m sure that’s true of any law school whose students graduate with direct-client and advocacy experience appreciated by employers anywhere in the country. I’ve been studying and working in Newark, New Jersey for nearly thirty years. After I graduated from Seton Hall Law School in 1991, I began working as an associate at New Jersey’s oldest and largest law firm, McCarter & English, LLP. I worked at McCarter & English for thirteen years, eventually becoming a Partner, before starting work as a Professor at Seton Hall. My background enables me to bring the experience of a seasoned lawyer into the classroom. This morning, I’m looking out the window of my office at the law school towards the offices of Public Service Electric & Gas, the Prudential Insurance Company, and McCarter & English. Later today I’ll talk with a colleague at Gibbons, P.C., a major law firm just a few blocks from the Law School. I’m the Co-Director of the Law School’s Gibbons Institute of Law, Science & Technology and I’m also Counsel in Gibbons firm’s Cybersecurity Law Task Force. One of my law school classmates is the Managing Director at Gibbons. Last month, I hosted the Gibbons Institute’s “Federal Circuit Year in Review” at the law school. This event examines Supreme Court and Federal Circuit Court of Appeals cases on intellectual property law decided during the past year. In the audience were practitioners from local law firms whom I know personally through my many years of involvement in the legal community here. After the event, I enjoyed a drink and some conversation with two retired federal judges who often help with our events. I remember a trademark case I litigated before one of those judges years ago, in which my adversary was one of the lawyers attending the event that night. Every day when I come into work, I get to rub shoulders with leaders of the New Jersey bar who were my teachers when I was a student: Dean Boozang, Professors Wefing, Franzese, and Sullivan, and others. I’m constantly amazed that I’ve been afforded the opportunity to teach with them. These are the sorts of close connections a law school embedded in the community makes possible. You will get to know your classmates well, and you will continue to interact with many of them throughout your career, no matter where you are. They will become your colleagues at law firms and in-house legal departments, your clients, the judges handling your cases, and the government officials making important decisions about our future, and many will return to the law school again and again as a center of continuing legal education. These kinds of connections will facilitate your success when you opt to practice in the area near your law school. For more on Seton Hall Law's investment in the community, read about our Clinics here. 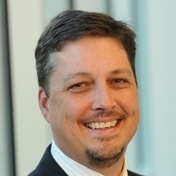 David Opderbeck is Professor of Law and Co-Director of the Gibbons Institute of Law, Science & Technology. 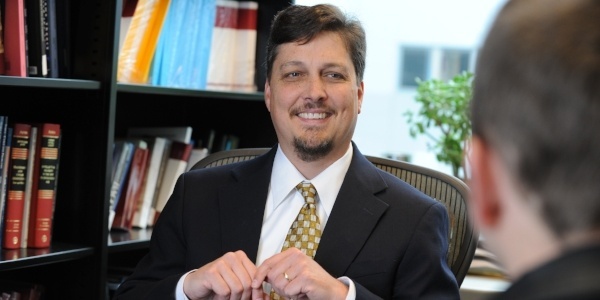 His work focuses on intellectual property, cybersecurity and technology law and policy.